Rather than bring immediate charges in 2010, however, the Department of Justice (DOJ) continued investigating the matter for nearly four more years, essentially leaving the American public and Congress in the dark about Russian nuclear corruption on U.S. soil during a period when the Obama administration made two major decisions benefiting Putin’s commercial nuclear ambitions. The first decision occurred in October 2010, when the State Department and government agencies on the Committee on Foreign Investment in the United States unanimously approved the partial sale of Canadian mining company Uranium One to the Russian nuclear giant Rosatom, giving Moscow control of more than 20 percent of America’s uranium supply. [Then] In 2011, the administration gave approval for Rosatom’s Tenex subsidiary to sell commercial uranium to U.S. nuclear power plants in a partnership with the United States Enrichment Corp.
After the Obama administration approved the sale of a Canadian mining company with significant U.S. uranium reserves to a firm owned by Russia’s government, the Nuclear Regulatory Commission assured Congress and the public the new owners couldn’t export any raw nuclear fuel from America’s shores. “No uranium produced at either facility may be exported,” the NRC declared in a November 2010 press release that announced that ARMZ, a subsidiary of the Russian state-owned Rosatom, had been approved to take ownership of the Uranium One mining firm and its American assets. 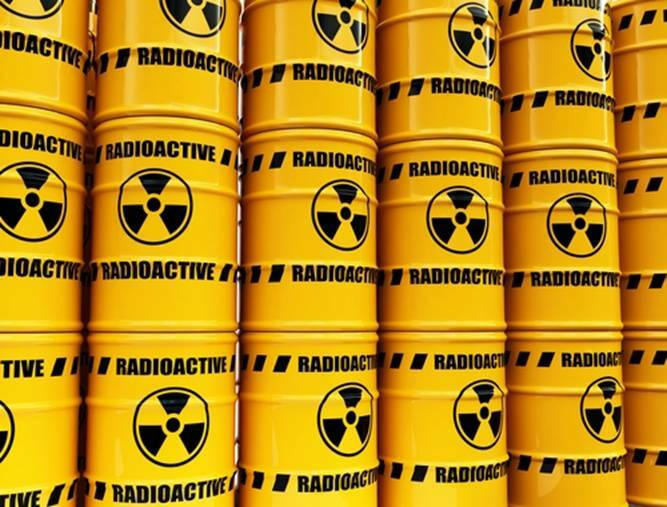 Yet NRC memos reviewed by The Hill show that it did approve the shipment of yellowcake uranium — the raw material used to make nuclear fuel and weapons — from the Russian-owned mines in the United States to Canada in 2012 through a third party. Later, the Obama administration approved some of that uranium going all the way to Europe, GOVERNMENT DOCUMENTS show. Rather than give Rosatom a direct export license — which would have raised red flags inside a Congress already suspicious of the deal — the NRC in 2012 authorized an amendment to an existing export license for a Paducah, Ky.- based trucking firm called RSB Logistics Services Inc. to simply add Uranium One to the list of clients whose uranium it could move to Canada. Officials at RSB, Cameco and Rosatom did not return repeated phone calls or emails seeking comment. Uranium One's American arm, however, emailed a statement to The Hill on Wednesday evening confirming it did export uranium to Canada through the trucking firm and that 25 percent of that nuclear fuel eventually made its way outside North America to Europe and Asia, stressing all the exports complied with federal law. “The more that surfaces about this deal, the more questions it raises," Sen. Chuck Grassley (R-Iowa) said in a statement released after this story was published. "It now appears that despite pledges to the contrary, U.S. uranium made its way overseas as a part of the Uranium One deal," Grassley said in the statement. "What’s more disturbing, those transactions were apparently made possible by various Obama Administration agencies while the Democrat-controlled Congress turned a blind eye. The Hillary Clinton campaign and the Democratic National Committee helped fund research that resulted in a now-famous dossier containing allegations about President Trump’s connections to Russia and possible coordination between his campaign and the Kremlin. I had promised Bernie when I took the helm of the Democratic National Committee after the convention that I would get to the bottom of whether Hillary Clinton’s team had rigged the nomination process. By September 7, the day I called Bernie, I had found my proof. How our government gave away 20% of our national security asset! Negotiations begin for an investment in Uranium One by the Russian atomic energy agency, Rosatom.